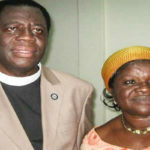 The Chairman of The Church of Pentecost (COP), Apostle Eric Kwabena Nyamekye, has called on Christians to surrender their all to the Lord Jesus Christ since they no longer live for themselves but for Christ. 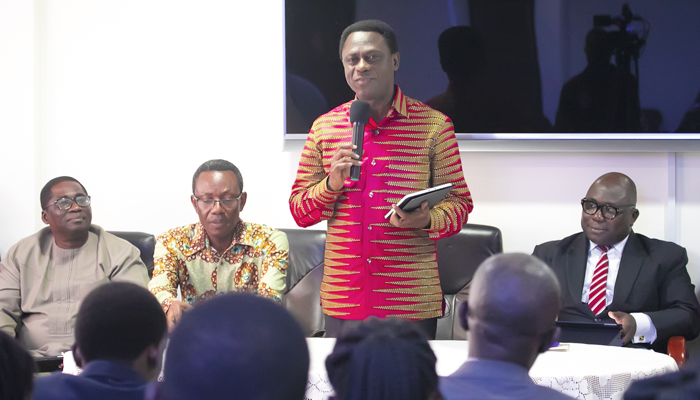 Speaking at his first morning devotion service with the staff of the COP Headquarters in Accra on Tuesday, September 4, 2018, the Chairman quoted from Ephesians 4:1 and said that believers do not own their lives because they have been made prisoners for Christ, and should therefore do the biddings of the Lord. Taking his main scripture reading from Ecclesiastics 4:1ff, the Chairman said generations will come and generations will go, but the earth remains forever. “Chairmen come and chairmen go, but the earth remains forever; managers come and managers go, but the earth remains forever. With this in mind, Chairman Nyamekye called on Christians to strive to do their best anytime they get the space to do something on earth so as to leave better legacies behind, since generations come and go. He called on the Head Office staff to support the new generation of the Church leadership so that the Church will continue to witness exponential growth in all spheres in the next five years. Quoting from 1 Samuel 12:6-11, he said that it is the Lord who calls and sends, and equips anyone He appoints to execute specific tasks. He entreated the staff to consider their positions as highly privileged, and work with all eagerness towards fulfilling their callings. To live worthy of their callings, the Chairman charged believers to be completely humble and be wary of pride since pride is the least common denominator of all human beings. He also asked Christians to be gentle, patient and bear with one another no matter the situation.